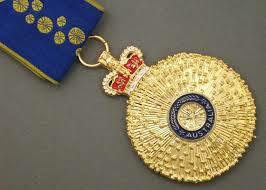 Members of the university sector featured strongly in the Queen’s Birthday Honours, particularly in the higher orders. 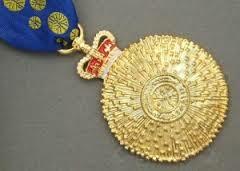 The Companion of the Order (AC) of Australia is awarded for “eminent achievement and merit of the highest degree in service” to Australia or humanity at large. The Officer of the Order (AO) is awarded for “distinguished service”. The Member of the Order (1) & Member of the Order (2) (AM)is awarded for “significant service”. We don’t know what this says about the VET sector: not a single gong. Women made up only 32% of recipients but that’s up from 26% in the Australia Day list. For eminent service to scientific research and development through fostering innovation, to science administration through strategic leadership roles, and to the development of public policy for technological sciences. For eminent service to the judiciary and to the law, to the development of the legal profession, to tertiary education, and to the community of Tasmania. For eminent service to medicine and to public health as an acclaimed researcher in the field of chronic immune disease, and through the development of innovative treatment therapies. For eminent service to science and academic medicine as a leading researcher, author and scholar, particularly in the field of genetics and human genome sequencing, and as a mentor of emerging scientists. For eminent service to the community as a leading intellectual in Australian public life, through contributions to scientific, heritage, musical, medical, political and public health organisations, and to the Australian Parliament. For distinguished service to the environment as a glaciologist, to furthering international understanding of the science of the Antarctic region, and to climate research. For distinguished service to international relations as an academic, author and researcher, to Australian Defence policy formulation, and to the security architecture of the Asia-Pacific region. For distinguished service to medicine in the field of neuropathology as an academic, researcher and author, through landmark contributions to the understanding of traumatic brain injury. For distinguished service to medical research as an academic and immunologist, to humanitarian and public health improvements for the people of Nepal, and to the community. For distinguished service to the community through leadership and financial management roles with cultural, medical research, sporting, child health, and educational organisations. For distinguished service to higher education, to advances in biotechnology and horticultural genetic modification, and through fostering of partnerships with government, industry and the community. For distinguished service to the Parliament of Western Australia, to tertiary education, agriculture and regional development, and through significant contributions to cancer control organisations. For distinguished service to education in the field of applied economics as an academic, researcher and author, through significant contributions to policy analysis and modelling. For distinguished service to medical administration through leadership roles with cancer control organisations, and to the promotion of innovative and integrated cancer care programs. For distinguished service to science and engineering, and to tertiary education administration, as an advocate for the protection of children, and to philanthropy. For distinguished service to music as a performer, composer, educator and mentor, and through significant contributions to the arts as an administrator. For distinguished service to tertiary education, particularly social, cultural and environmental history, and through popular and academic contributions to Australian literature. For distinguished service to science education and technological development, particularly in the fields of biochemistry and molecular biology. For distinguished service to medicine and tertiary education in the field of paediatrics, and to improved maternal and child health in rural and remote Australia and in developing countries. For distinguished service to the performing arts as a composer of chamber, concert and ballet music, and through substantial contributions as an educator and arts administrator. For distinguished service to conservation and the environment as an ecologist and freshwater scientist, and to research and professional organisations. For distinguished service to conservation and the environment in the field of landscape ecology, to tertiary education, and to professional organisations. For distinguished service to medicine through the development and promotion of public policy on medical values, ethics and law. For distinguished service to community health, particularly through sexual health research, policy development and program delivery to marginalised communities. For distinguished service to medicine as a neurovascular surgeon, researcher and educator, as an international leader and mentor, and to professional organisations. For distinguished service to medicine as an intensive and critical care practitioner, educator and researcher, and as an international innovator in patient management. For distinguished service to physical sciences through landmark theoretical and practical advances in colloids and surfaces, and as an academic, educator and mentor. For distinguished service to medicine as a leader in the field of epidemiology and population health, to policy development and advisory roles in immunisation, and to education. For distinguished service to business and finance, particularly in the area of infrastructure development, to the energy sector, and to medical research. For distinguished service to the Indigenous community of South Australia as an elder and educator, and to the promotion and protection of Indigenous culture and heritage. For distinguished service to science in the field of chemistry and hydrometallurgy, as an academic and educator, and to fostering technical innovation in business and industry. For distinguished service to medicine in the field of mental health as a psychiatrist and clinician, to national health service reform, and to professional organisations. For distinguished service to veterinary science, particularly the provision of technical assistance in developing countries, and to business through promoting Australian interests internationally. For distinguished service to medicine in the field of paediatric neurology as a clinician, academic and mentor, and to research into the identification of epilepsy syndromes and genes. For distinguished service to medicine in the field of paediatric endocrinology as a clinician, researcher and administrator, and to international leadership in diabetes care and advocacy. For distinguished service to the community, particularly to tertiary education administration, scientific organisations and the telecommunications sector, to business, and to the arts. For distinguished service to international affairs, through strategic defence studies as an analyst, academic and adviser to government, and to public administration. For distinguished service to the pharmacy profession, particularly through contributions to education and retail management practices, and as a role model for women in business. For distinguished service to tertiary education, particularly through leadership and research roles in Indigenous, rural and remote health, and to medicine in the field of tropical health. For significant service to the business and finance sector, particularly to market surveillance and fraud detection technologies, and to education. For significant service to landscape architecture as an academic, particularly to the study of cultural, heritage and migration environments. For significant service to the multicultural community, to education as an academic and author, and as an advocate for social policy development. For significant service to paediatrics and neo-natal intensive care medicine as a clinician and researcher, and to the promotion of research into cerebral palsy. For significant service to medicine, particularly to cardiovascular anaesthesia, to medical education, and to professional medical organisations. For significant service to education in the field of climate and environmental law, as an academic and researcher, and to the visual arts. For significant service to veterinary science, and to education, particularly in the field of animal anatomy, as an academic and researcher. For significant service to science in the field of experimental atomic physics as a leading researcher, academic and author. For significant service to tertiary education, particularly to gender studies, to women’s history, and as a role model and mentor. For significant service to education in the field of language and literacy, to professional skills development for teachers, and as an author. For significant service to rural and remote medicine and education, as a supporter of Indigenous health professionals, and to general practice. For significant service to medicine as a clinician, particularly in the field of rheumatology, and to professional medical organisations. For significant service to the judiciary and to the law, particularly through the Family Court of Australia, and to legal education. For significant service to the judiciary and to the law, to criminal justice and legal reform, to education, and to professional associations. For significant service to medical administration, particularly to nursing and midwifery, and to community and mental health organisations. For significant service to medicine, particularly to Indigenous and migrant women’s reproductive health. For significant service to education in the field of politics and history as an academic, and to community and public health organisations. For significant service to cardio vascular medicine as a clinician and administrator, and to heart health programs and medical education. For significant service to medicine in the field of haematology, to medical education, and through accreditation and clinical governance advisory roles. For significant service to medicine, particularly through cancer epidemiology and public health research organisations, and as a mentor. For significant service to engineering as an educator and researcher, to professional organisations, and to the community. 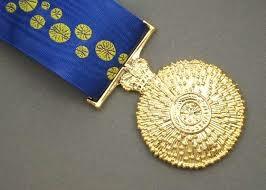 For significant service to intensive care medicine as a clinician and academic, and to professional organisations. For significant service to medicine in the fields of haematology and transfusion medicine, and to professional organisations. For significant service to the blind and those with low vision, to education, and to the community. For significant service to mathematics education as an academic and leader in the profession, and to the community. For significant service to ethics in medicine as a physician, researcher and philosopher. For significant service to medicine in the field of public health as a clinician, academic and educator. For significant service to higher education, to academic and business development, and to international education. For significant service to business education, particularly university and industry collaboration and engagement, and to the community. For significant service to higher education in Western Australia as a leader in teacher education and sector reform. For significant service to science and innovation through health care information systems. For significant service to conservation and the environment, particularly through developing public policy on science-based strategies for minimising metals in the environment. For significant service to medicine, particularly in the fields of rural health and nuclear medicine as a clinician, academic and mentor. For significant service to leadership and reform in the disability sector as an administrator, statistician and academic. For significant service to conservation and the environment, particularly wetland and water research. For significant service to education in the field of biochemistry and molecular biology. For significant service to drama in education, as a lecturer, author, mentor and researcher. For significant service to science and technology through landmark developments in broadband and wireless communications. For significant service to education, particularly in the fields of politics and civics. For significant service to tertiary education, particularly through research in applied laser physics. For significant service to environmental science as a leader, researcher and adviser to government. For significant service to medicine, particularly through blood cancer research, improved patient care and fundraising leadership. For significant service to medicine as a practitioner and researcher in the field of geriatric care. For significant service to medicine as a clinical pharmacologist, particularly in the field of respiratory illnesses. For significant service to child welfare and the law, particularly through dispute resolution conferencing. For significant service to medicine as a clinical pharmacologist, and to regulation and quality use of medicines. For significant service to medicine and the community as an infectious diseases researcher and adviser. For significant service to the performing arts as a choreographer, educator and administrator. For significant service to science education in the field of mathematics. For significant service to medicine as a practitioner and administrator in the field of clinical haematology. For significant service to medicine as a cardiothoracic surgeon, and as an adviser to government. For significant service to architecture, as a practitioner and educator, and through professional organisations. For significant service to the building and construction industry as a leader and educator. For significant service to international relations as an academic, adviser and social welfare advocate. For significant service to the visual arts as an administrator, academic and publisher. For service to medicine, to tertiary education, and to the Indian community of Sydney. For service to the law, to tertiary education, and to professional organisations. For service to the environment, to education, and to the community. For service to engineering as a leader and teacher, and through professional organisations. For service to science and community health through developing and promoting spinal cord injury therapies. For service to medicine, particularly assisted fertility services, and to the community. For service to education in the field of public health. For service to medicine in the field of dermatology. For service to medicine, particularly in the field of maternal fetal medicine, and to professional associations. For service to music, and to the communities of Canberra and the South Coast region of New South Wales. For service to medicine as a general practitioner in the Manilla region. For service to tertiary education, and to Australia-China relations.